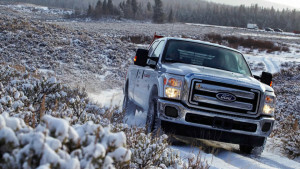 What Exactly Is Glenwood Springs Ford's “Code of the West”? When you find what you’re looking for, that price should be all there is to it. Whether it’s a new, used, or certified pre-owned car, truck, or SUV, that sticker price is exactly what it is. Since finances are often a main worry, the first hour that we examine your car is on us. It doesn’t matter if the results are a minor or major issue, or luckily turns out to be nothing, we have you covered. Although we have a great inventory of Ford makes and models, we want you to find exactly what you like. Therefore, the trade-in value we quote you is available to you for three days, whether you stay with us or find that beloved new car elsewhere. We’re upfront about everything, which means that you will know all of the details of a previously owned car before deciding upon signing the paperwork. We’ll work with you to make sure that we’re available for you to have your car serviced, or obtain parts when it’s most conducive. Come in to Glenwood Springs Ford, and experience why our “Code of the West” makes us the top Ford dealership in the region! Our 55 Storm King Rd. showroom is open Monday through Saturday, or if you can’t stop in right away, call us at 970-945-2317, or message us online. Experience for yourself our dedicated, high level of customer service, and why our reputation is a huge reason for our success!